The Puck family of consoles are comprised of the Puck computer capsule and a compact easy-to read pressure gauge with a chrome-plated brass body. Designed with optimized angles and shape for maximum ergonomics. 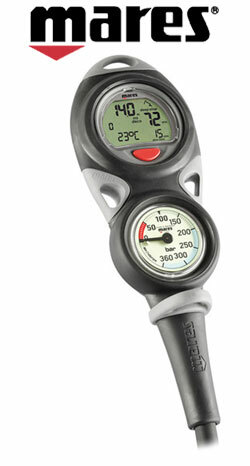 The Mission Puck 3 includes a compact dedicated compass to meet all divers needs.